I'm going to share one of my beauty secrets today. 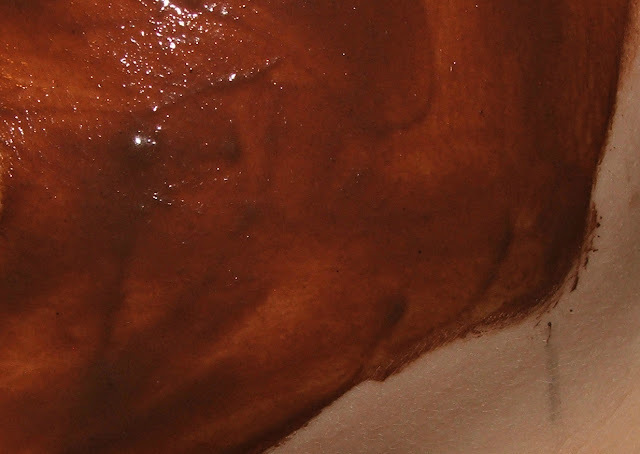 It's this Chocolate Mask which I absolutely love! I use it a few times a week to refresh my skin. 2. Then take a spoon full of yoghurt and put it in the bowl as well. 3. Then pour about a spoon full of honey into the bowl and about a tea-spoon of lemon juice. It should look something like this! Now mix it good. This is what your mask should look like once you've mixed all the ingredients together. It kinda looks like Nutella, doesn't it? Once you've applied the mask to your face, it should look something like this (there might be some clumps in it), the mask should not be applied too thick or too thin. I always leave this mask on for about 30 minutes. You'll know when to take the mask of when it starts drying and getting harder. This mask may or may not work for your skin, but it really does work for mine. It feels so refreshing!